As I contemplate my next trip and enter the early stages of planning I think back on my last trip. 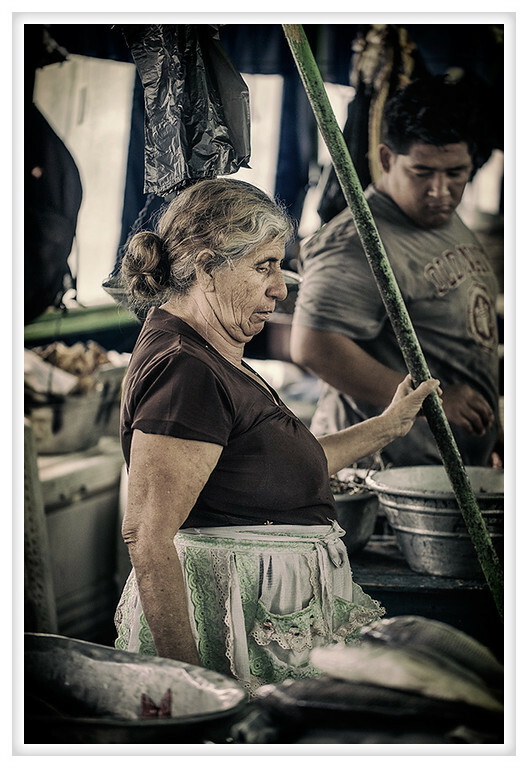 This photograph was taken at the fish market on the pier in La Libertad, El Salvador. There were so many people proudly hawking their wares and when they saw our cameras they kept bringing out more and more impressive specimens. It was like a competition for our attention, the people were so friendly and they all knew we weren't in a position to buy a twenty pound fish but they were excited to show it to us all the same. That's what I love about travel, meeting people, even if only briefly, who are as proud of themselves and their cultures as I am interested. It make travel exciting and very fulfilling. The year has been a busy one and I can say, without a doubt, that I'm earning my vacation this year!